Three physicists who helped further the theory that the universe experienced an extremely rapid burst of expansion right after it was born — a process known as cosmic inflation — were awarded the prestigious Kavli Prize in Astrophysics on Thursday. 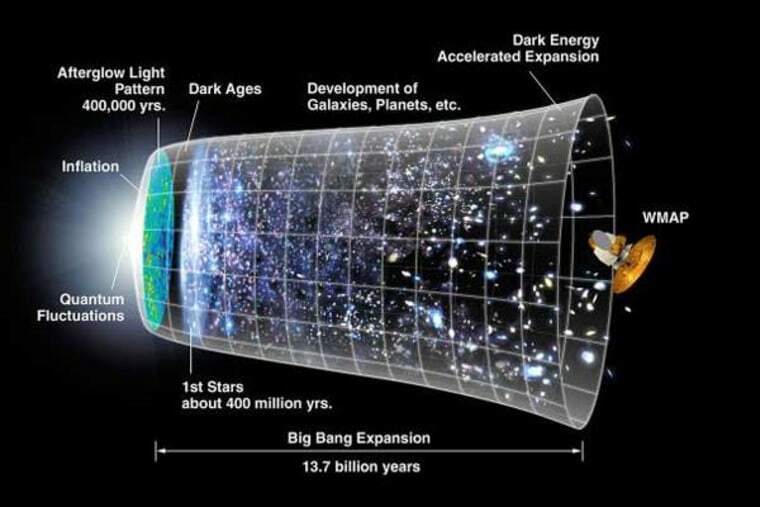 Alan Guth of MIT, Andrei Linde of Stanford University and Alexei Starobinsky of the Landau Institute for Theoretical Physics in Russia shared the prize for their work on the theory that the universe underwent a period of rapid expansion in the first few moments after the Big Bang. uth and Starobinsky independently proposed models for cosmic inflation in 1980 and 1979, respectively. Linde proposed a version of the theory, known as chaotic inflation. In March, a team of researchers announced they had detected gravitational ripples left over from the Big Bang, which, if confirmed, would be inflation's "smoking gun." In addition to astrophysics, Kavli Prizes were also awarded to six other scientists for their work in the fields of nanoscience and neuroscience. The prize in nanoscience was awarded to Thomas Ebbesen, of the University of Strasbourg in France; Stefan Hell, of the Max Planck Institute for Biophysical Chemistry in Germany; and Sir John Pendry, of the Imperial College London in the United Kingdom, for their pioneering research in nano-optics that have enabled researchers to magnify and see incredibly small structures. These advances, which challenged long-held beliefs about the limits of optical microscopy and imaging, mean scientists can now use special microscopes to see objects that are 100 times smaller than the width of a human hair, representatives from the Norwegian Academy of Science and Letters said. The Kavli Prize in Neuroscience was awarded to Brenda Milner, of McGill University in Canada; John O’Keefe, of University College London in the U.K.; and Marcus Raichle, of the Washington University Schoolof Medicine in St. Louis "for the discovery of specialized brain networks for memory and cognition." The prizes consist of cash awards of $1 million in each field. Laureates also received a gold medal and a scroll. The Kavli Prizes were established in 2005 by the Norwegian Academy of Science and Letters, the Norwegian Ministry of Education and Research and the Kavli Foundation. The prizes, which are awarded every two years, were created to recognize outstanding scientific research in astrophysics, nanoscience and neuroscience; promote public understanding of scientists and their work; and foster international cooperation among scientists. Follow Tanya Lewis on Twitter and Google+. Follow Live Science on Twitter,Facebook & Google+. Original article on Live Science.